Scotty McCreery burst onto the national stage in 2011. After a rousing audition in front of the country’s most recognizable judges, McCreery exploded to national stardom; singing and eventually winning the tenth season of American Idol--and he did it all when he was seventeen years old. Now, at age twenty-five, McCreery has released four full-length albums, shattered records, and established himself as a country music crooner, destined for greatness. Flashback to Garner, North Carolina in 1999, to the time and place of McCreery’s first and pivotal encounter with one of his most prominent influences. When he was just six years old, he received a book about Elvis Presley from his grandmother. To this day, McCreery cites the book and Presley himself as significant influences on both his budding musical aspirations and his current music output. In addition to Presley, McCreery has also identified the music of Merle Haggard, George Jones, and Conway Twitty as powerful sources of inspiration throughout his illustrious career. In 2009, he entered and won “Clayton Idol,” a local singing competition held by WQDR-FM at the Clayton Harvest Festival. Driven by his success in the contest, McCreery began performing intimate shows across North Carolina both with the radio station and independently. Then, he dove headfirst into familiar, yet uncharted territory: American Idol. No stranger to singing competitions, McCreery decided to audition for the show. The 16-year-old earned himself a spot on the show with sweet renditions of Josh Turner’s “Your Man” and Travis Turner’s “Put Some Drive in Your Country.” Week after week, audiences all over America began to fall in love with McCreery’s gentle voice, youthful enthusiasm, and mature admiration for country classics. He officially stepped into the role of American Idol in 2011 as the second youngest winner in the show’s history at only 17 years old. His victory signaled a new direction in his life, one that would prove to be vastly different than his provincial childhood in Garner. A quick five months later, McCreery made his debut as a bona-fide artist in the country music industry with Clear as Day. The record features hit single “I Love You This Big,” a tender ode to young love in all its confident nativity. McCreery’s voice is captivating and melts the hearts of all who listen. 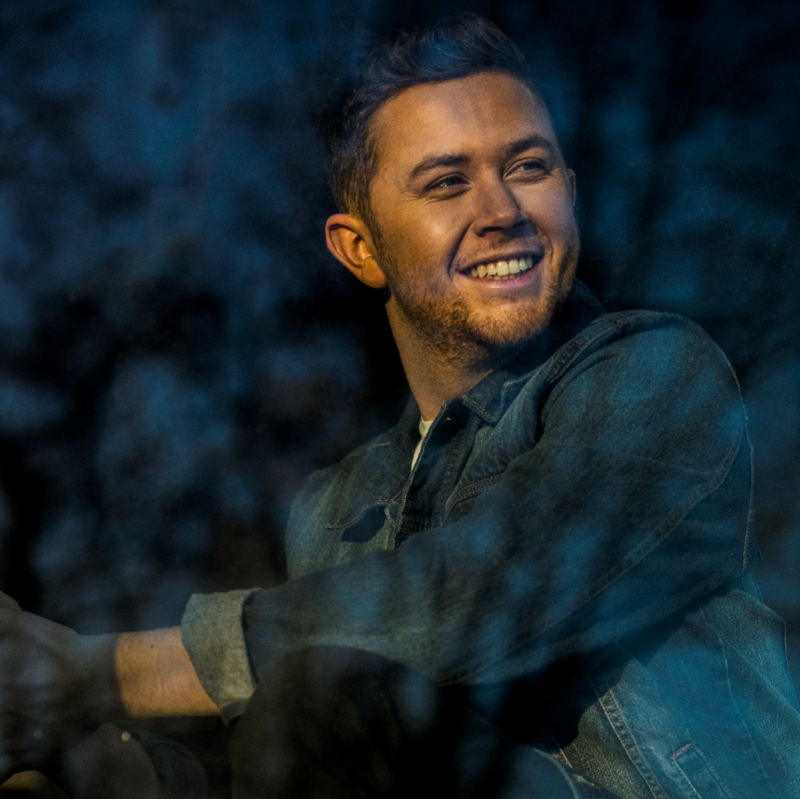 With lyrics like, “I know I’m still young/But I know how I feel/I might not have too much experience/But I know when love is real,” McCreery doesn’t let his reputation as a youngster restrict him from loving wholeheartedly or writing music that is honest and relatable for listeners young and old alike. The album’s overnight success reflects the innumerable won-over hearts McCreery collected during his stint on American Idol. In addition to selling over 197,000 copies in its first week, the record reached Number 1 on five separate Billboard charts including their 200 list and Top Current Albums. Clear as Day’s critical dominance made McCreery the first country act ever to debut at Number 1 on Billboard’s 200 with their first studio album. Today, almost 10 years after his breakout record, McCreery has grown beyond his fledgling reputation and has clearly earned his new role as an established, respected artist in country music circles and beyond. His latest release, Seasons Change, is a narrative that mirrors the various ups and downs McCreery has encountered lately. In the last three years alone, his life has been chock-full of turbulence and unforeseen circumstances that have undoubtedly impacted him both as a person and as an artist. From the loss of his grandfather to marrying his best friend, the recent events in his life have provided him with heartache, jubilance, and everything in between. He takes it in stride, though, acknowledging just how much this unforeseen turbulence has helped him grow into a more confident, contemplative artist. “Five More Minutes,” one of the greats on Seasons Change, is a vulnerable plea for the chance to spend just a little bit more time with the ones you love. The moving tune is endearing and intimate, so it comes as no surprise that when he performed it in front of a live audience at the Grand Ole Opry, he was rewarded with a roaring standing ovation. His success on such a legendary stage is a testament to his talent, grit, and artistic instincts that have made him the lovable country gem he is. We can’t wait to see all he brings to Live in the Vineyard Goes Country from May 14-16. Enter our sweepstakes for a chance to win tickets to catch his live performances!